Change the comma after lives to a period and begin a new sentence with They shared. Add a comma after dislikes. Change each the to a. Get rid of the semicolon after other and replace it with a comma. You don’t need an ellipsis at the end; there’s no reason for that sentence to trail off. They were best friends all their lives. They shared common likes and dislikes, but everything changed when one became a detective and the other, a criminal. 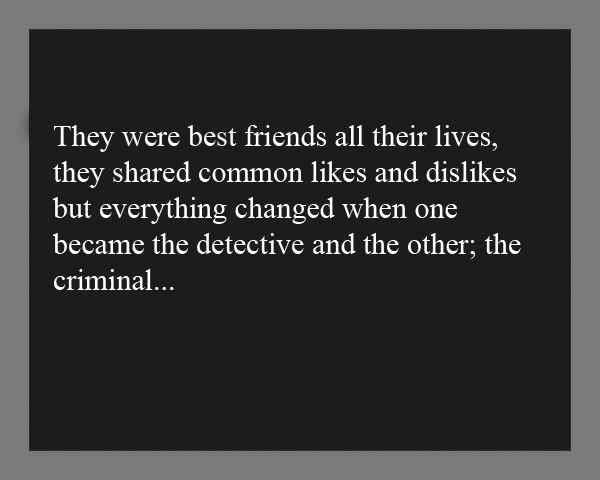 This still looks a bit awkward, so I’m going to merge the sentences the right way: They were best friends all their lives, sharing common likes and dislikes, but everything changed when one became a detective and the other, a criminal.